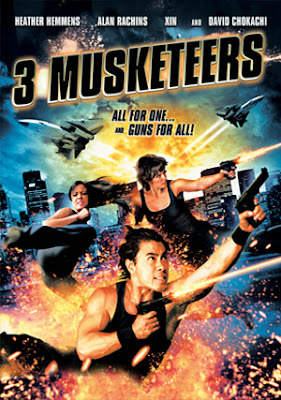 Set in the near-future USA, when junior NSA officer Alexandra D’Artagnan uncovers a plot by a corrupt general to assassinate the President of the United States, she enlists the help of three international spies to stop the threat. To stop the coup by the corrupt general, the 3 Musketeers fight the battle with guns, warships and martial arts. Special effects, thrilling action, and some tongue-in-cheek comedy come together in this wild adventure.